A romantic reminder of a weekend in Paris. This bracelet shows the typical Parisian roses, Iffel Tower, passport, and postcard. A perfect gift for the wife, girlfriend on even mother. I have designed this charm bracelet with Paris in mind. 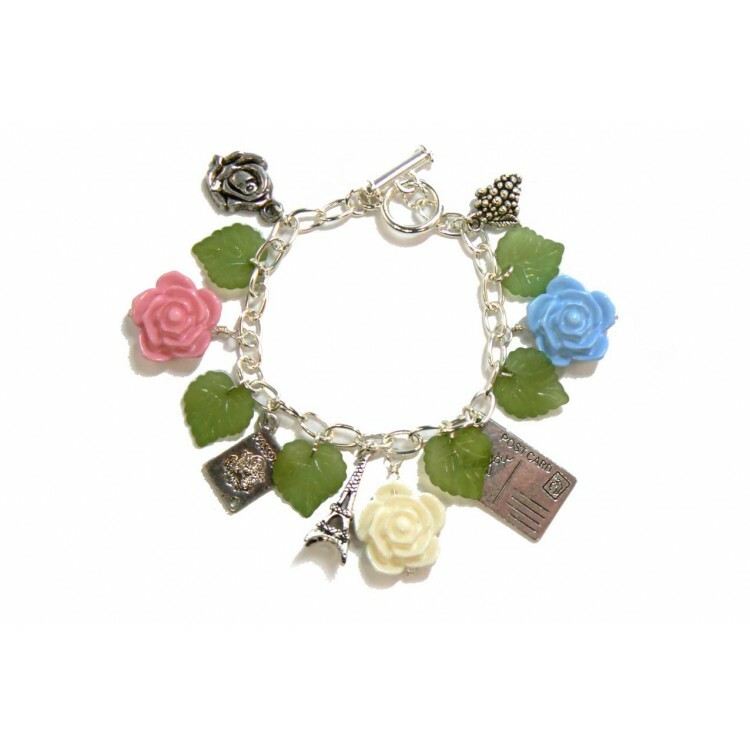 Using a "nickel free" silver plated charm bracelet, I added acrylic roses and leaves, and Tibetan silver charms. The bracelet measures 7.5" 19cm long, and has been fitted with a toggle style clasp (T-Bar) which is easy to do up especially if you have no one to help you.